Hood Scientist: The Science of Tanning. Okay, I'm going to be honest. I tan because of different reasons than most. I use a tanning bed that calculates the adsorption of my skin and calibrates the lighting in the bed to give me the right dosage. A lot of people I've had convos with have been skeptical but I finally did a video before my session to show how this works. Also, using this bed, I only have to tan 1-2 times a month. After my vitamin D deficiency working in my former lab, this is the best option for me. 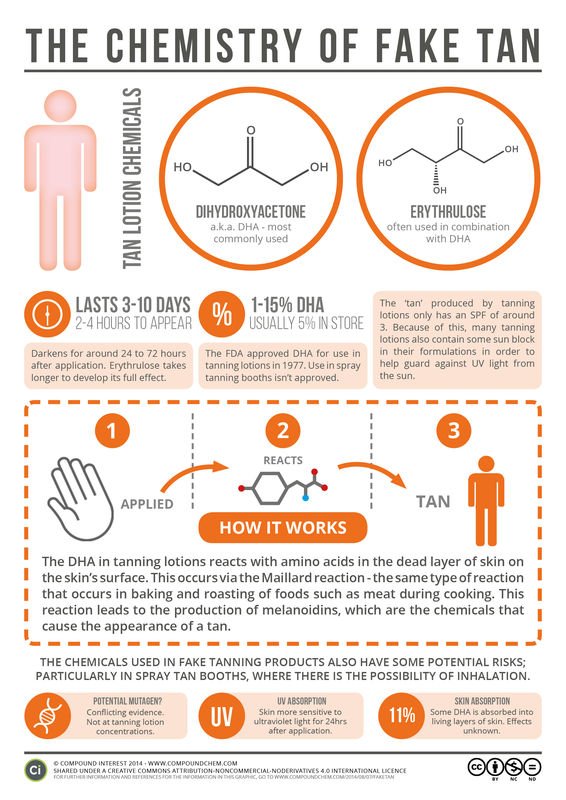 Ever wondered how your spray tanners work? There is a compound interest post for that.